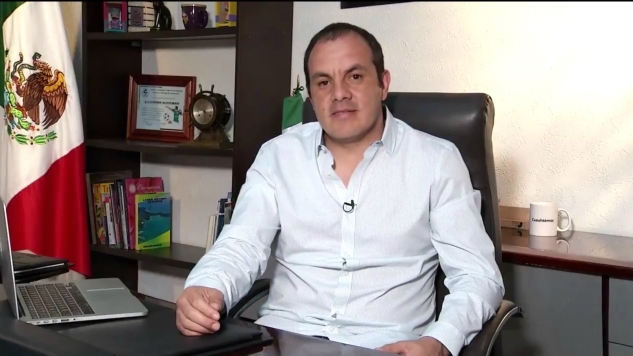 After spending several days in hiding, Cuauhtémoc Blanco, the former El Tri legend and current mayor of the city of Cuernavaca, denied allegations that he contracted hit men to kill a prominent local businessmen. Let’s… try to untangle this. When Temo finally decided to hang up his boots after a lengthy career bouncing around Liga MX— with one memorable stopover with the Chicago Fire— he launched straight into the next phase of his life. Having won the endorsement of the Social Democratic party, Blanco ran in Cuernavaca’s municipal election in 2015 and ultimately triumphed in the run-off. From the confines of his office in the capitol city of Morelos he maintained his public profile while working to grow the city’s economy and confront the city’s problems with organized crime. Earlier this month during a major city festival, local businessman Juan Manuel García Bejarano, a young concessions mogul and one of the organizers of the festival, was attending opening festivities on Cuernavaca’s main thoroughfare. Amidst the hubbub of the crowd and the feasting, an assailant approached Bejarano, shot him six times, and attempted to flee. (Content warning for violent and disturbing images and video in that linked article.) The 24-year-old Bejarano was rushed to the hospital, where he was pronounced dead. The alleged killer, José Fierro Escobar, was arrested soon after the incident and formally charged with Bejarano’s murder. But in interviews with prosecutors, Escobar said he was paid to shoot Bejarano by two men. One of whom, allegedly, was Cuauhtémoc Blanco. Blanco immediately denied the allegations, accusing his political enemies of trying to destroy him and heavily implying that they have ties to the mob. But then the Cuernavaca mayor went into hiding for several days, refusing to hold office hours or meet with members of the city council. He very briefly came back to the office to sign some documents, and on Sunday he posted a video on Twitter proclaiming his innocence. But other than that, Blanco went off the grid for the better part of a week following the accusations. Blanco also said that he’s in fear for his life following the allegations— but that he’s not going anywhere. This will probably not end well. For anybody.